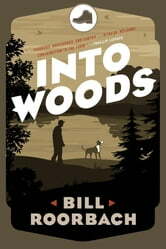 Into Woods is an exuberant, profound, and often wonderfully funny account of ten years in the life of author Bill Roorbach. A paean to nature, love, family, and place, it begins with his honeymoon on a wine farm in France's Loire Valley and closes with the birth of his daughter and he and his wife's return to their beloved Maine. These essays blend journalism, memoir, personal narrative, nature writing, cultural criticism, and insight into a flowing narrative of place, a meditation on being and belonging, love and death, wonder and foreboding.